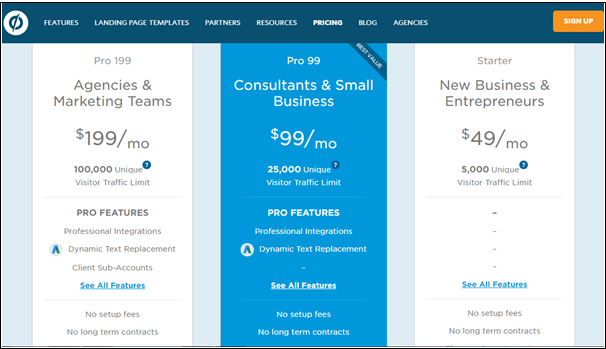 Home > Web Design > Unbounce Landing Page Builder vs GetResponse Landing Page Builder Review: Which to Choose? There are many ways to enhance business these days but one of the most powerful ways for this is using internet. Online marketing can help the businesses to successfully promote one’s brand, services or products. Currently, a large share of the population across the globe makes the use of internet. It has made it a common ground to advertise one’s business. There are a lot of landing page editor tools which include editors such as GetResponse and Unbounce. These tools help to create powerful and materially good looking landing pages. In the following sections below, we would provide the similarities and the differences in many aspects including the features of both these landing page creator softwares. Now let us see which one of these is the best. Both of these allow you to create landing pages without much knowledge about HTML coding. Also, any other technical specifications aren’t required to make these pages. 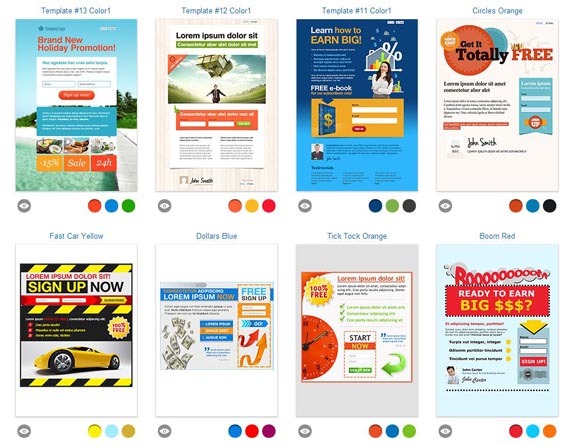 There are easy and customer-friendly steps for creating attractive good looking landing pages. One can very easily verify the response of all of the landing pages through the testing features. Due to this, the landing pages can be made very effective by allowing some precise changes which can also attract much more customers. One can also design their own landing page by adding multimedia like images, videos and links. Besides this, an Auto-Responder system is also available through which one can send an email to welcome the new subscribers. In this section, some of the striking as well as important features of GetResponse and Unbounce will be discussed. By this, you will be able to get a better picture of both these tools and hence judge which one of these is indeed a better landing page creator. 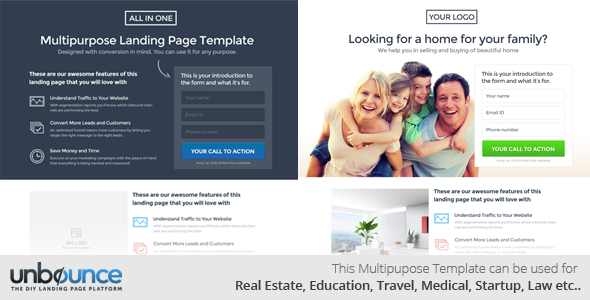 GetResponse & Unbounce landing page creators consist of many interesting landing page templates. These are capable of serving as one strong branding option. There are a lot of sufficient templates from which you can choose depending upon what you require for your business. You do not require any technical knowledge to be able to make changes on the landing page template. GetResponse landing page creator offers you more than 100 designs whereas Unbounce has only 85+ designs, making GetResponse better. The GetResponse Landing Page editor has a client-friendly interface which is complications free. Whereas on the other hand, Unbounce Landing Page editor has an advanced approach, which includes various interesting functions and features. Drop Down menu of GetResponse on Home screen allows easy navigation for the user. On the other hand, in Unbounce editor, the user has to travel deep down in order to learn about various functions of operations. Since easy navigation is offered by GetResponse landing page creator, hence it would be a wise decision to prefer it. GetResponse and Unbounce both offer the client a great power, through which they can welcome their new subscribers with a welcome note. This is possible through the presence of an Auto-Responder system, which is put in place. Just when your customer signs in through the sign up form on landing page, a welcome mail is received by them which are quite impactful to say the least. Hence it is very difficult to differentiate between GetResponse and Unbounce based upon this feature. Both GetResponse and Unbounce provide an option to customize the landing page templates. They both consist of one WYSIWYG editor. 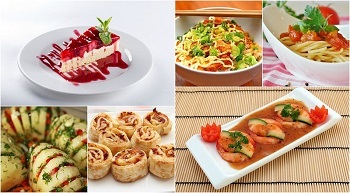 Through this, the users can drag and drop items to create appealing template designs and can add text & images to it. Choosing one tool amongst these based upon this feature is very difficult. Split Testing is one very useful feature. It helps the clients to analyze the different versions of a landing page template. It does so by recording the response of the viewer audience which helps in making the necessary changes which are required to improve content and the look of the landing page, which attract customers. GetResponse and Unbounce both offer more than two variant checks at the same time. There are options in both GetResponse & Unbounce editor tools which help to check the performance of a landing page. They provide you with a proper report including analyzed statistics. Besides this, the clients can also track the number of clicks, unsubscribes, forwards, bounces and many other important details. You can also link Google Analytics with both of these email marketing tools which is quite impressive to say the least. Both of these editor tools have the capability to function well on various different platforms. They provide mobile compatible templates for flawless working of these templates on mobile. GetResponse tool has an advantage over Unbounce when it comes to handling the landing page templates on mobile devices, making it better. Landing pages created through GetResponse and Unbounce can be linked with a variety of CRM software. Moreover, the integration of social media and social networking sites such as Facebook and Twitter with the landing pages is also an option. 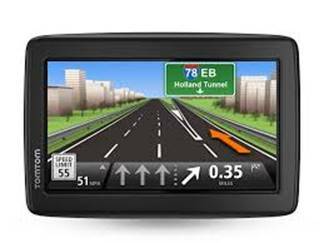 It helps in spreading the business to wider areas and markets the products more effectively. PayPal can also be integrated with both Unbounce & GetResponse. These landing page builders are excellent in terms of Integration facility. With GetResponse, you get a basic service package. You can avail that at a price of $15 per month. 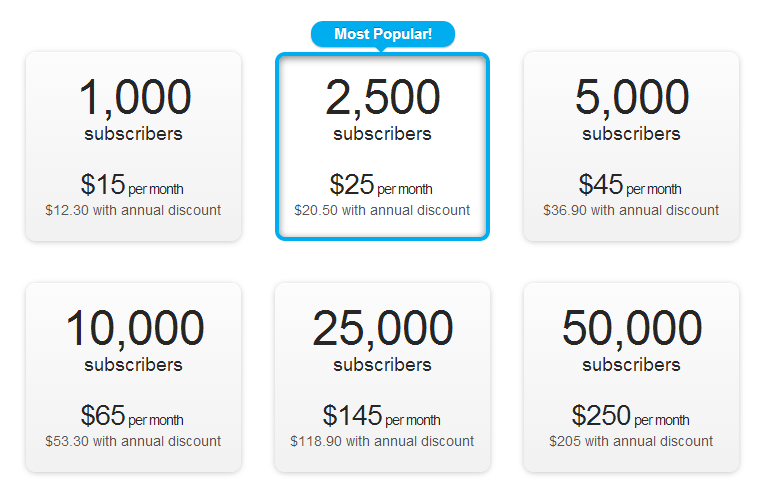 On the other hand, Unbounce offers the customers a basic service package at an expensive rate of $49 per month. Hence GetResponse is way better when it comes to pricing. Firstly, you can buy GetResponse at a much cheaper price than Unbounce. GetResponse’s basic plan has a lesser price which is beneficial for small scale firms. GetResponse also has more landing page template designs when compared to Unbounce. You get much easy-to-use landing page customization options with GetResponse when compared to Unbounce. GetResponse offers a much more user-friendly interface for easy navigation which isn’t the case with Unbounce. If you are to place your precious money on any marketing tool, then GetResponse should be the obvious choice for you as you can get it in lesser price. You also get some vast features with GetResponse which are better than Unbounce. You can witness an easier interface while using GetResponse and more customization options are available. GetResponse assists you to make your business large and make it expand beyond the limits. Once you buy this tool you will never curse your decision. So, make an early start and buy GetResponse now. 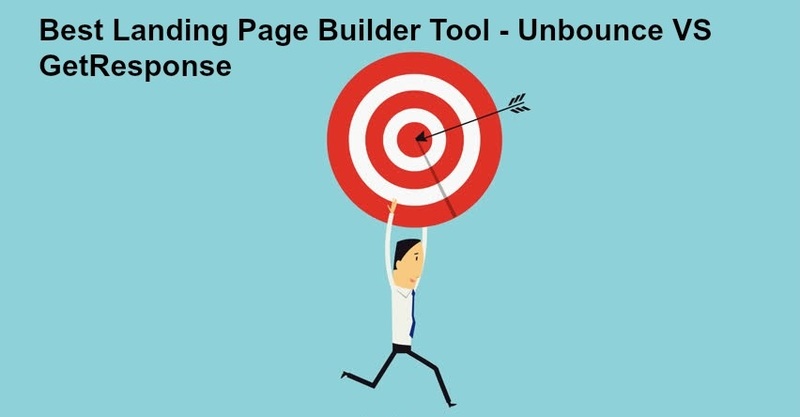 am very happy to know the differences between unbounce landing page builder and get response landing page builder, that’s great for me.You have very well mentioned about these two page builder. You have used beautiful info graphic. It makes the article easy but reliable. Each and every points are more interesting to know about them. Thanks for posting the comparison! GetResponse sounds easy to use and really cool. I’ll check it out!